‘THE AINTS! PLAY THE SAINTS’ PLAY GEELONG! Having already been announced as the Melbourne headliners for this years Reclink Community Cup The Aints! are now pleased to announce an additional show and their first ever visit to Geelong: Saturday June 23rd, Barwon Club Hotel with special guests Ausmuteants. Fronted by Ed Kuepper The Aints! revisit the material of The Saints the seminal Australian band Kuepper co-founded in 1973 who would go onto record the influential and incendiary albums (I’m) Stranded (1977), Eternally Yours (1977) and Prehistoric Sounds (1978) before disbanding. Kuepper then going on to form the legendary Laughing Clowns followed by a highly successful solo career. 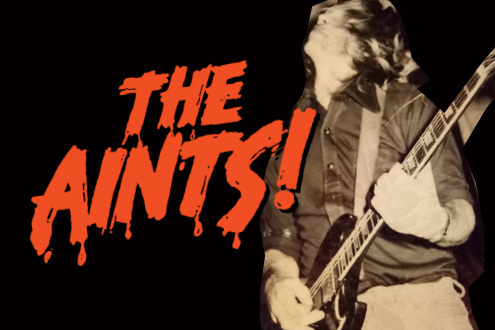 In addition to powering through those Saints classics (many of them having never been performed live before) The Aints! have also added an albums worth of new material ALL of it culled from the Kuepper archives and written in the original bands lifespan of 1973-1978. And joining Kuepper in The Aints! are Sunnyboys bassist Peter Oxley, Paul Larsen (drummer for both The Celibate Rifles and The New Christs) plus solo jazz performers Alister Spence (keyboards), Eamon Dilworth (trumpet) plus an additional brass section.